A celebration of the Golden Retriever (that benefits the Golden Retriever Lifetime Study)! Previous years brought close to 200 goldens running blissfully free on the beach, chasing tennis balls and swimming together in the surf. A bit of Heaven for everyone to witness! 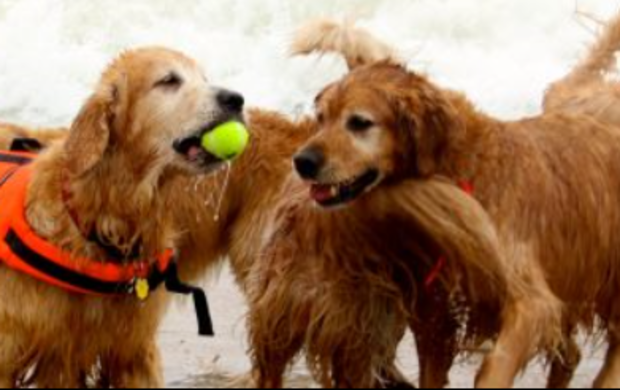 There are some fun activities planned, all revolving around enjoying our furry goldens for some fun in the sun on Dewey’s dog-friendly beaches. It is a time set aside to spend quality time with our precious goldens and meet others who share the same passion for the amazing breed! And it’s free.